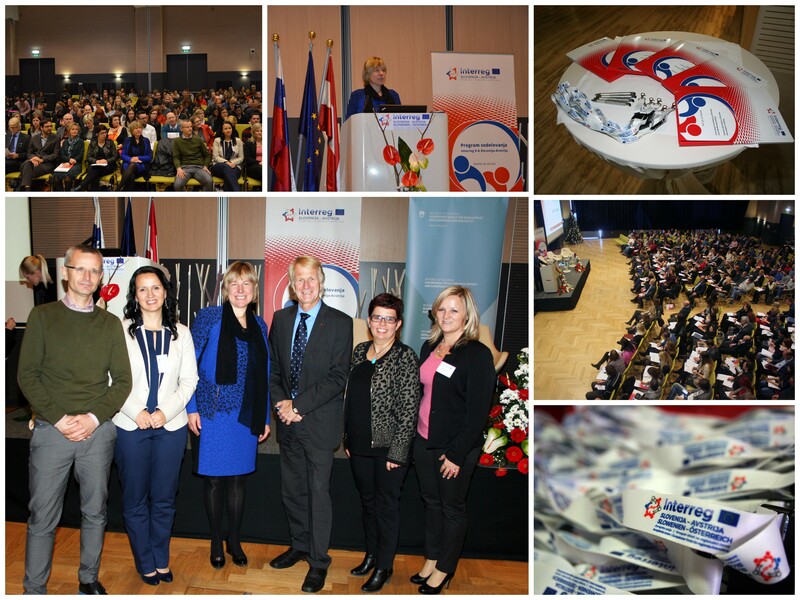 On 2 December 2015, the Government Office of the Republic of Slovenia for Development and European Cohesion as the Managing Authority in the period 2014-2020 organized the kick-off event in Laško in Slovenia, which was dedicated to the presentation of the Cooperation Programme Interreg V-A Slovenia-Austria. The Minister for Development, Strategic Projects and Cohesion, Alenka Smerkolj, gave a speech in which she expressed the belief that the cooperation in the programme will help eliminate the border barriers and strengthen the cross-border cooperation. In the programme period 2014-2020, the successful European territorial cooperation between Slovenia and its neighbouring countries will continue, in which various applicants may realize their ideas and are able to implement sustainable solutions through the cooperation with their cross-border partners. For the presentations in Slovene language, please see our Slovenian part of the website.